$1000 is a lot to spend on a new iPhone but then again, many of us practically live off our phones. You need a strong and sturdy case to keep it safe at all times, so we’ve rounded up the best cases out there. Now, to be sure, there’s a trade off in selecting a super rugged case. They will all protect your phone well, even if you drop it from a height, but some are quite chunky and some require a little adjustment to use wireless charging. It’s a relatively small price to pay for safety though, and we’ll be sure to highlight any inconveniences along the way. Here’s our pick of the bunch. 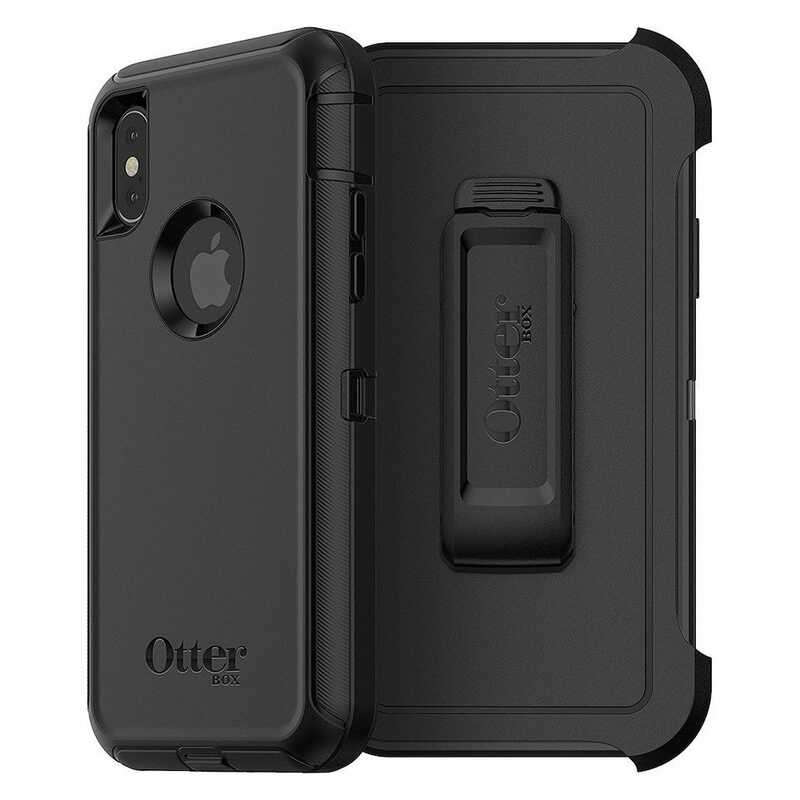 Otterbox is a well established name in the smartphone case world and the Defender series is one of its toughest when it comes to protecting your precious gadget. The iPhone X case in the Defender range is a little pricey, but it’s worth the outlay. The cheapest entry here, you’d be forgiven for being wary about protecting your expensive phone with a $16 case. However, Spigen has the pedigree to pull it off. 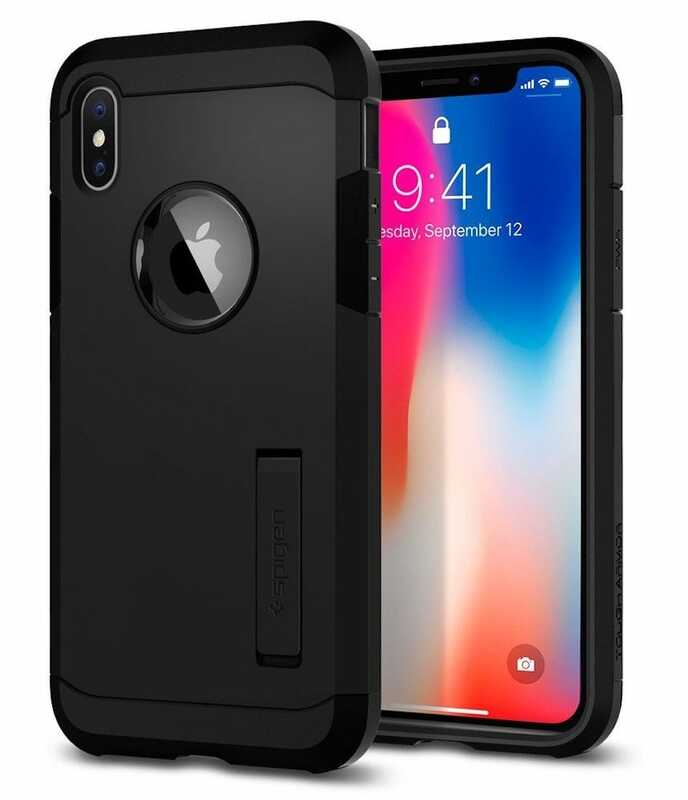 Its Tough Armor iPhone X case promises a dual-later of protection, made up of a TPU body and polycarbonate back. Thanks to the dual-layer design and their air-cushion design, it should survive drops from five feet without harm. The Tough Armor case includes a reinforced kickstand with raised lips to protect your screen as well as camera. Spigen has been making cases for a number of years now, so it’s a decent budget choice. It’ll charge fine via wireless charging too. 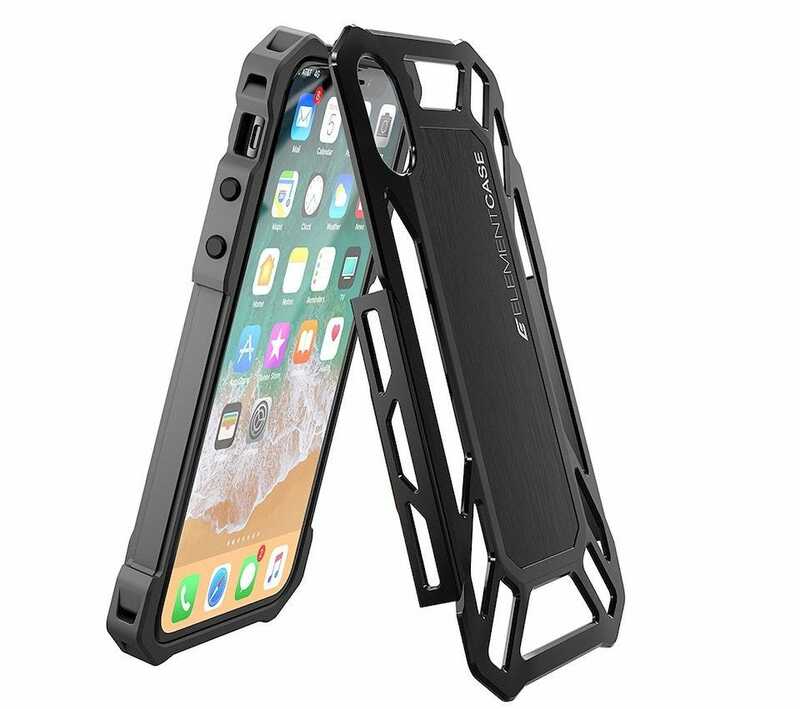 The Pitaka iPhone X Case is as tough as it looks, which is a relief given its premium price. 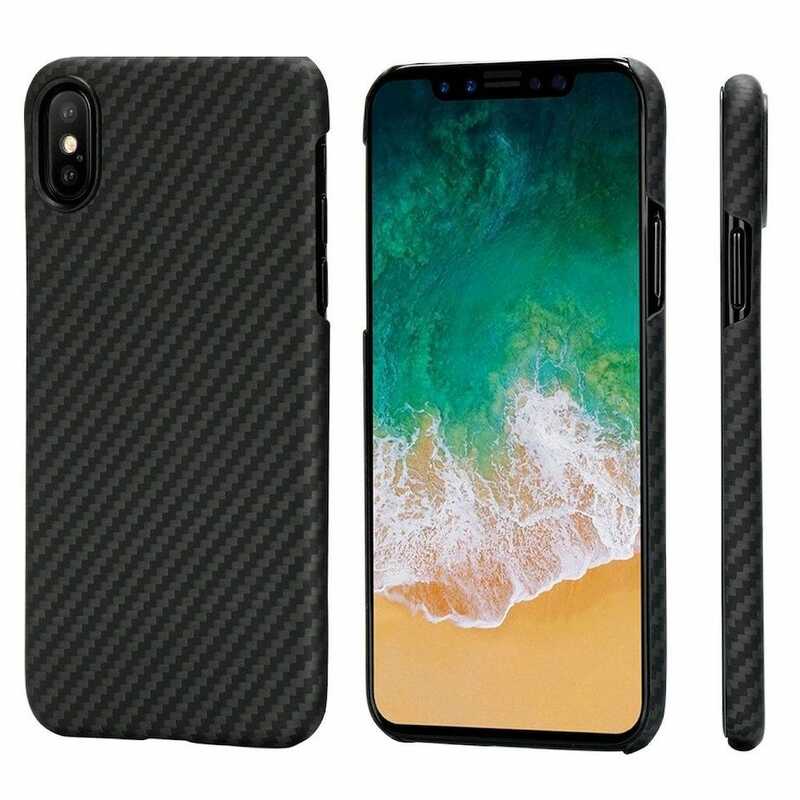 The case is made from 100% Aramid Fiber—a material also used in body armor, spacecraft, jet engines, and Formula 1 race cars. Despite such strength, the case is still very thin at a scant 0.03 inches, practically functioning as a second skin for your iPhone instead of bulking it up. The case has a distinct texture which helps hide wear and offers a pleasant non-slip grip surface. The purchase also includes a tempered glass screen protector for maximum coverage. It’s compatible with wireless chargers too, so it’s a fine premium solution for your valuable iPhone. Want a case that shows off the color of the iPhone you purchased? Perfectly understandable. The Tech21 Pure Clear Case is that case. The case fits the iPhone X snugly, with two layers of different materials to increase impact protection. The impact-resistant design offers protection against drops up to 6.5 feet. In addition to impact-resistance, the case is also scratch and UV-resistant (so it won’t look like a scuffed up and yellowed mess in a matter of months). Despite the extra layers of protection and snug fit, it’s easy to access the buttons and port on your iPhone and it works with wireless charging. If you want the protection of a case while retaining the look of your regular iPhone X, this does the job well. 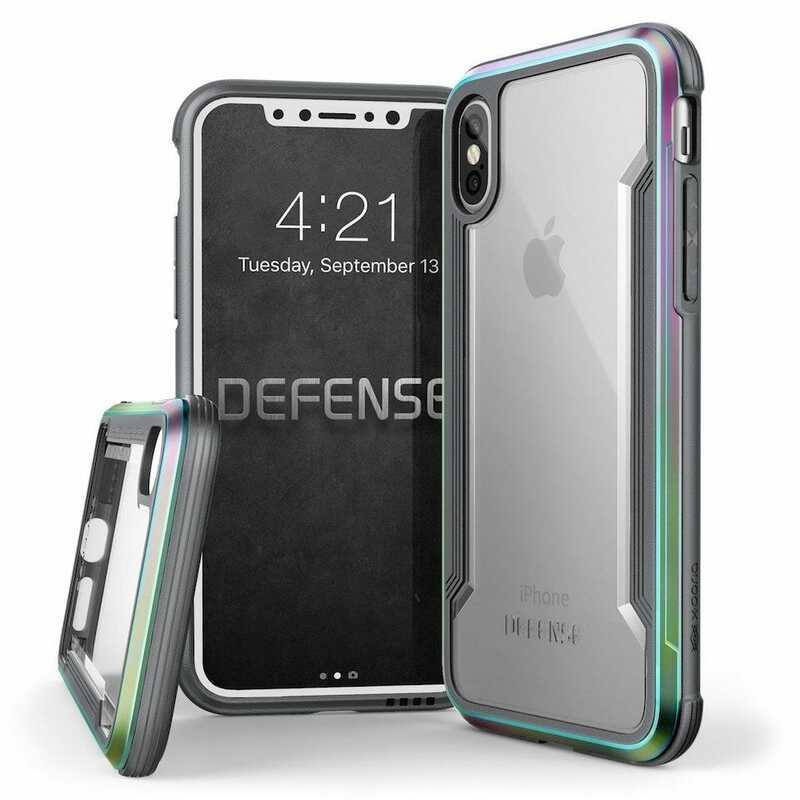 As tough as the name suggests, the X-Doria Defense Shield Series iPhone X Case offers intense protection in a ruggedized yet stylish case. 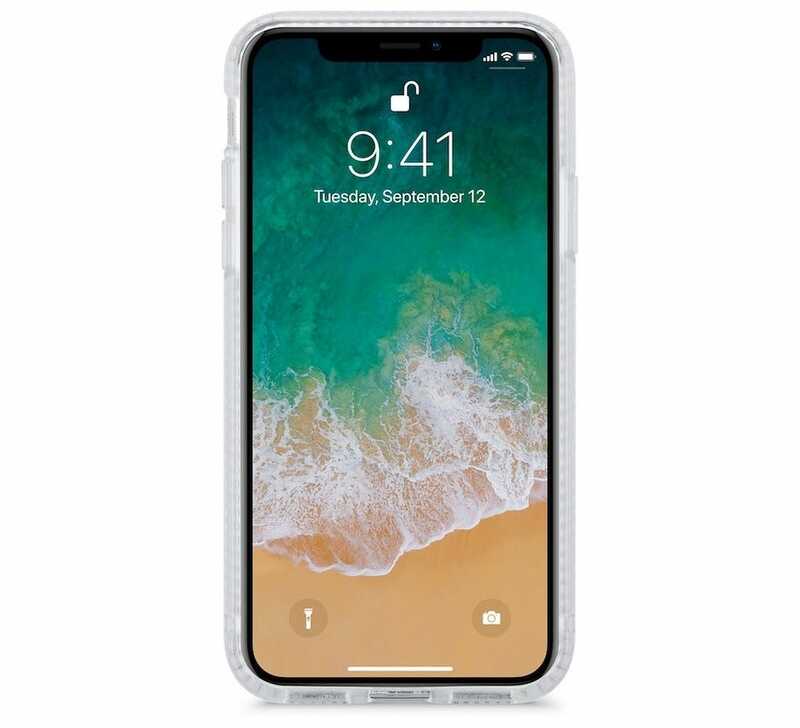 Able to withstand drops of up to 10 feet, the case has a soft rubber interior lining combined with a hard polycarbonate shell for optimal protection. A raised lip protects your phone’s screen from surface scratches, and raises the screen up (in case of drops) away from the floor. 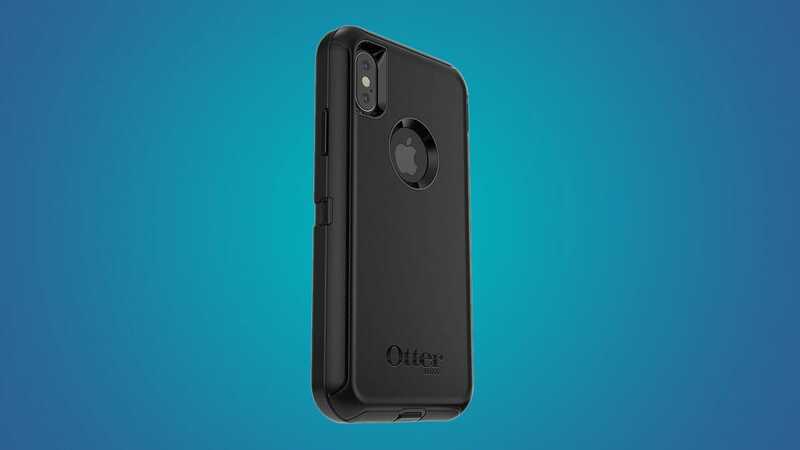 Additionally, the case has a special acoustic channel so, despite the heavy duty bumper, the sound from your iPhone’s speaker is amplified and directed towards you. If your job or active lifestyle means you’re particularly tough on your phone, this case is a great case to keep your beloved iPhone safe. The Element Case Roll Cage Case offers protection in a very different way to most other cases. It takes the technology of race cars and their use of roll cages, and implements it on your phone. The roll cage is removable with its protective enclosure attaching to the front of your phone in order to shield the screen. You can then move it over to the back for added protection. Alongside that are drop shock corners which promise impact absorption for such key areas where impacts tend to case screen damage. The case is rugged enough to withstand 10 foot drops and the company like showing off drop tests out of a car racing along at 65 mph. There are some downsides to that kind of roll-cage level protection though. Rather than gaps for your regular buttons, there are molded polycarbonate buttons instead which don’t feel as smooth as the phone’s buttons. Also, to use wireless charging, you need to remove the cage which is, as you’d imagine, a bit inconvenient. If your lifestyle is very physical though (maybe you like throwing your phone at people out of race cars, who knows), it’s an inexpensive and unique looking case to keep your phone very safe from a drop or fall.